Quench your THIRST! 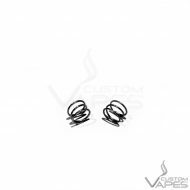 Luscious strawberries combined with tart but sweet lime provide all day juicy deliciousness. Quench your THIRST! Squashed raspberries with the ripest pears instantly get your tastebuds whirling with excitement. Quench your THIRST! Mango and peaches will dance on your palette in this vibrant e-liquid duet or your favourite tropical fruit. Quench your THIRST with the perfect balance of cucumber and lemon, a juice that will leave the taste buds refreshed and clean. Quench your THIRST with a handful of fresh blueberries blended to perfection with a hint of juicy pear. 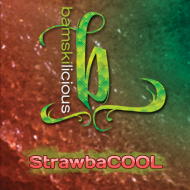 Bamskilicous Strawbacool takes the standard sweetness of ripe, juicy strawberries mixed up with a cool menthol hit. It’s reminiscent of snacking on chilled sweet strawberries. Honeydew Blackcurrant by Dr Frost Salt Nic Is here to cool you off on these sunny warm days to keep you cool and refreshed. An amazing glacial blend of crisp tangerine and frozen mango. Plucked straight from the permafrost then crushed into juicy red ice lollies. Just what the doctor ordered. Watermelons are frozen solid with one touch from the Frost. A grape adventure, sweet purple icicles are sheered down by the frost & kept cold for your enjoyment.